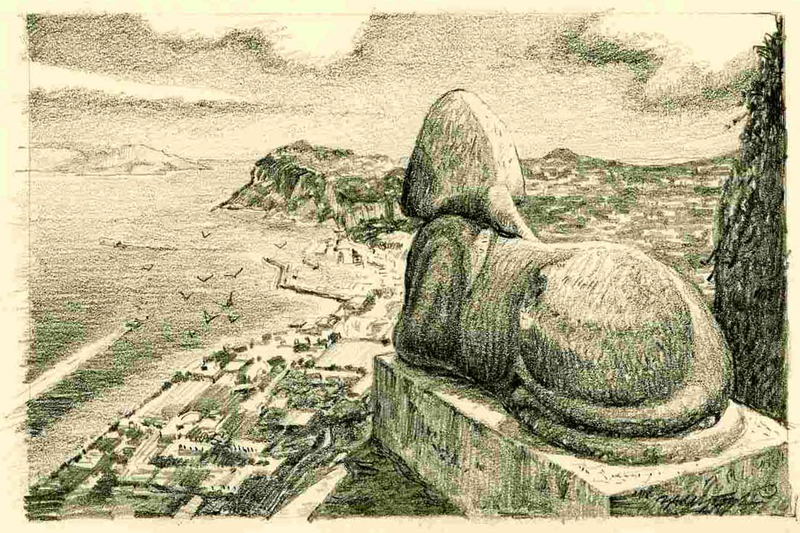 The Mastromano family grew up on the beautiful Island of Capri just off the coast of Naples, Italy. After enjoying an idyllic childhood several of the sons eventually came to America with their dream of owning an authentic Italian restaurant. Two brothers now own and operate such an establishment, Little Venice, in Richmond, Virginia. 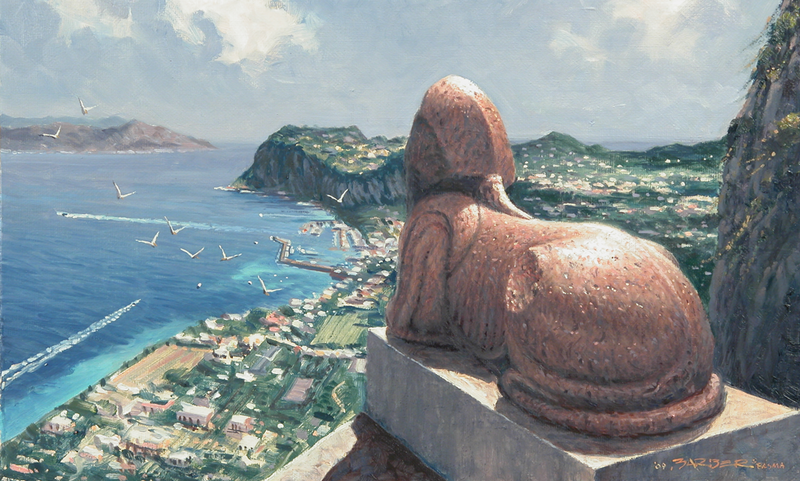 Brother Pepping wanted a painting done from the veranda of the Villa San Michele looking down to the Marina Grande below.